AG Adriano Goldschmied "The Angel" size "29/Regular " Blue Jeans in good used condition, nicely worn in.They have a nice factory fade and lightly distressed look.They are a 5 pocket 97% Cotton, 3% Lycra jean. They are made of 84% Cotton, 14% Polyester, 2% Lycra Spandex. Tagged size 12. Measures like a 28x29. No rips, holes, or stains. Measurements listed in pictures. You are buying vintage new with tags jeans as pictured. Old Navy Black Women's Denim Jeans Size 12 Regular SKINNY Inseam 29 1/2"
Inseam -- 29 1/2". Waist -- 36". Condition: Like New! Minimal sign of wear! washed and clean. Our office is located in Oregon. PHOTOS are provided of each item to show the actual condition. Any defects and type of materials are well described to the best of our knowledge. Brand New Women Ladies Monki Oki Slim/Skinny High Waist Black jeans All Sizes. Size : 12 Regular / 31. We look forward to working with you! Nice pair of women’s full blue jeans. Brand new with tags. Size is a 12 and length is a 29. Fast Shipping too. Great look, nice color. Scroll down for super-sized pictures! Condition : Great dark color. Nice pre owned shape. RISE: 11.5". INSEAM: 29". 93% Cotton, 5% Polyester, 2% Elastane. 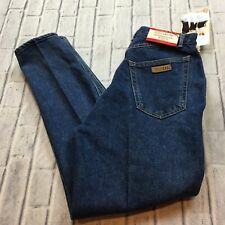 Gloria Vanderbilt Womens Amanda Classic Tapered Leg Denim Jeans VARIOUS AVAIL. L L BEAN Double L Classic Fit Straight Leg Jean Size 12 Regular. Inseam 29". Front rise 11 1/2". Lucky Brand,Women's Denim Jeans,BROOKLYN SKINNY,Mid Rise,"SLIM FIT"
Inseam 29-Bottom inward leg seam to seam between legs. Waist 15-Across left of waist to right. Rise 13.5-Seam between legs to top of middle pants. Outseam 41-Top to bottom of pants on the left. If an item is new, it will be stated. 29" Inseem. The zipper, rivets and seams are solid and fully functional. There is cuff wear. OLD NAVY THE DIVA WOMEN'S DENIM JEANS SIZE 12 REGULAR INSEAM 29"
THESE JEANS HAVE SLIGHT WEAR NO HOLES GREAT COLOR. INSEAM: 29". SIZE: 12 REGULAR.